Hello Friends, here we are again! I hope your week has gone well for you. 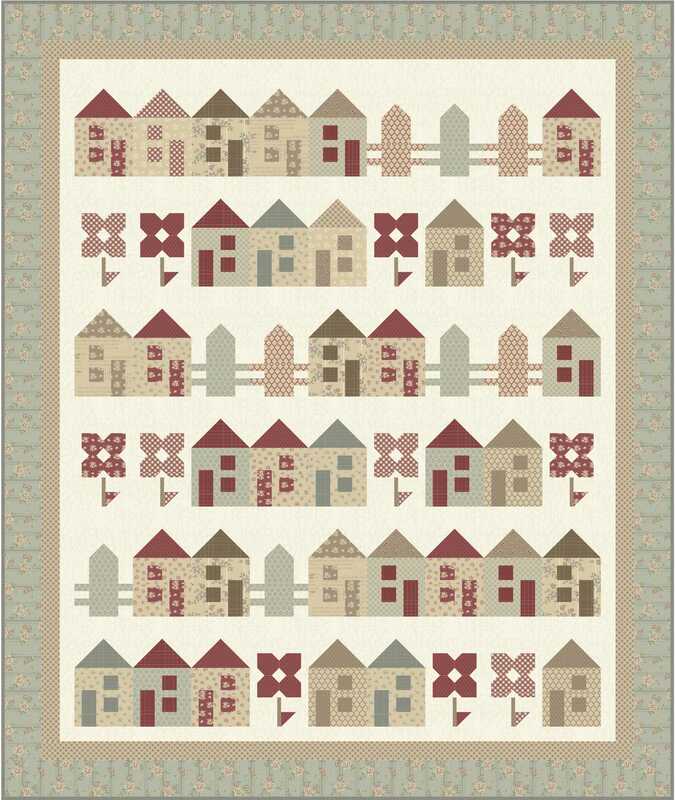 Last Fall Market Houston RJR Fabrics launched their first digital print fabric line, Wildwood Way. 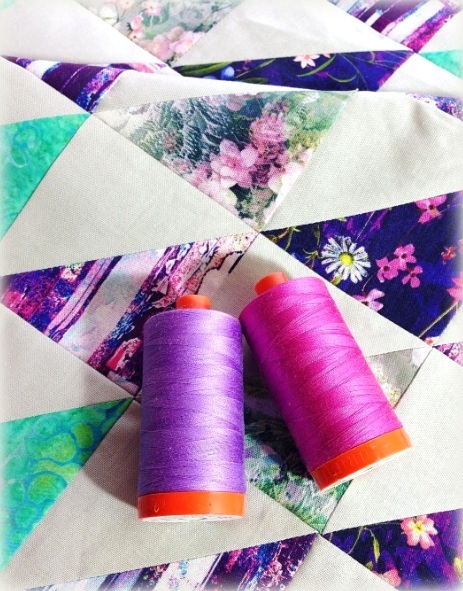 I am happy to have been able to design quilts to support the fabric line. 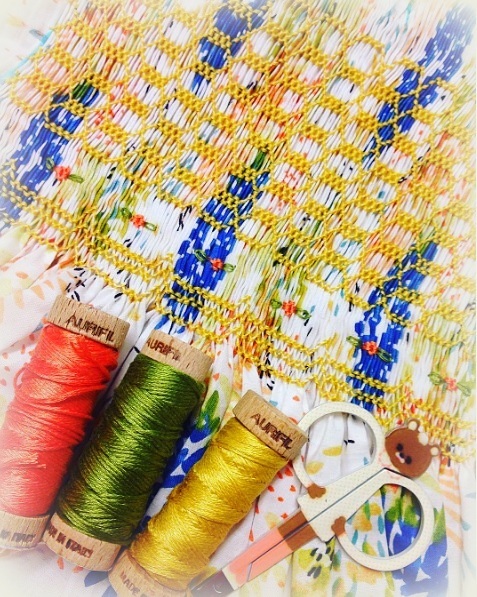 This line is absolutely gorgeous — click here to view the fabrics. 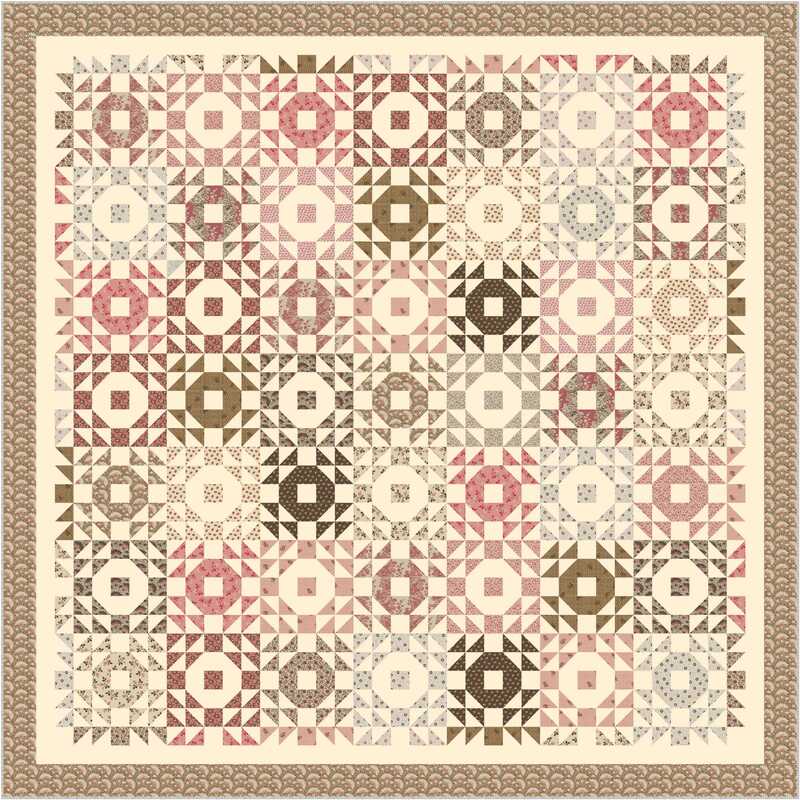 Stargazer is a 40″ x 40″ wall quilt that is perfect to decorate a wall. Purchase the kit by clicking here. 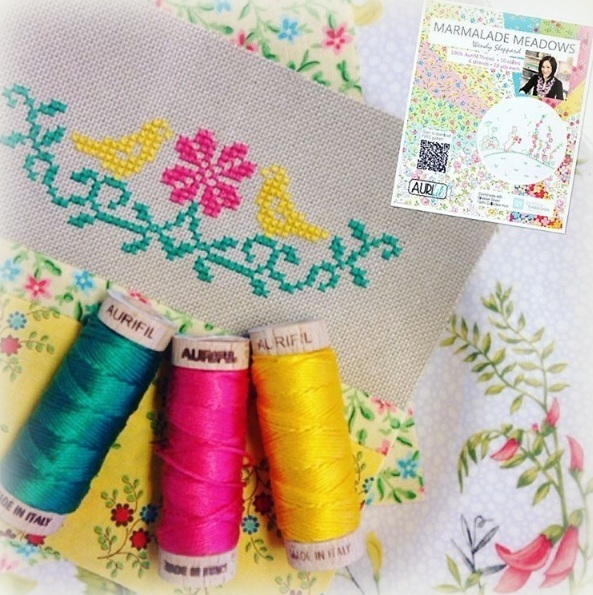 Download pattern by click here. This is a picture of the quilt at Fall Market last year. 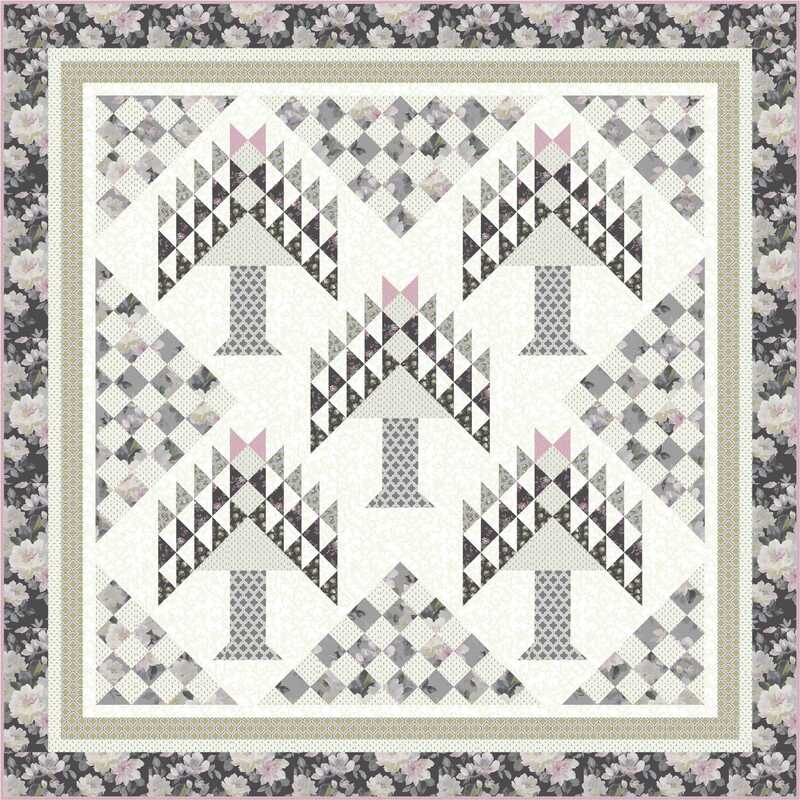 Garden Path is a queen sized bed quilt that uses entirely charm squares! I absolutely love this one!!! Purchase the kit by clicking here. 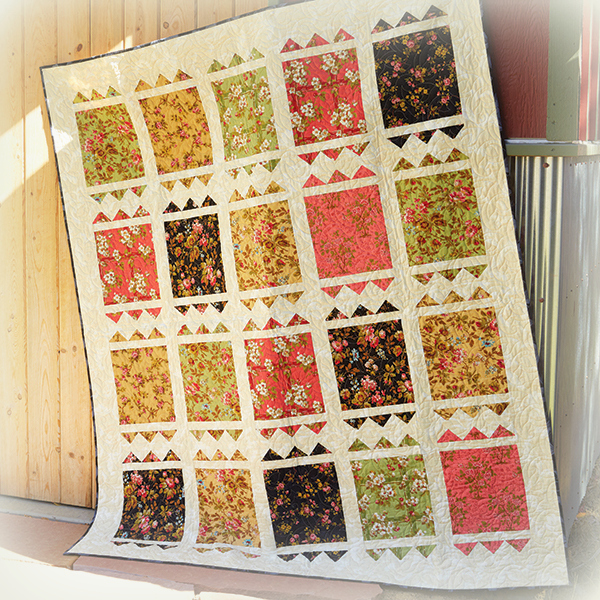 Wildflower is 67 3/4″ x 90 1/2″ large throw/single bed quilt. 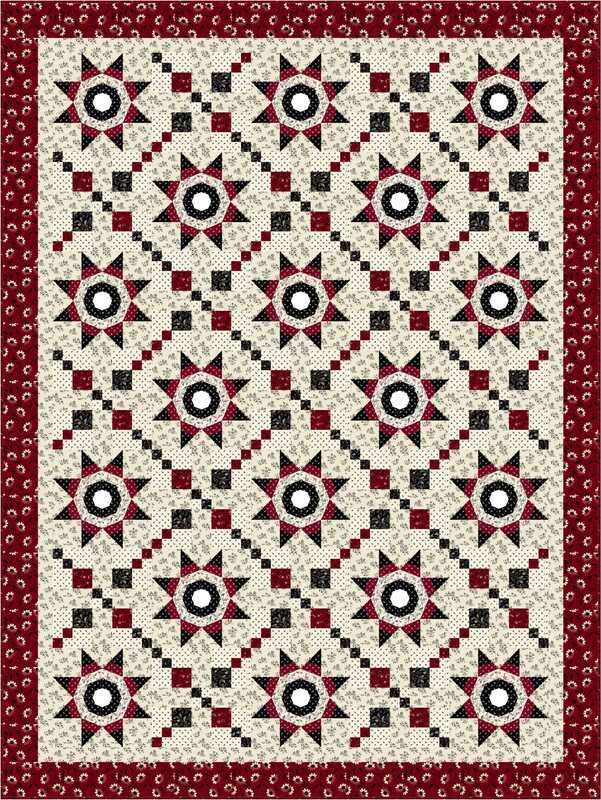 Purchase the kit by clicking here (you earn 539 points in Quilter’s Cash if you are a Missouri Star Quilt Company customer). Download pattern instructions here. 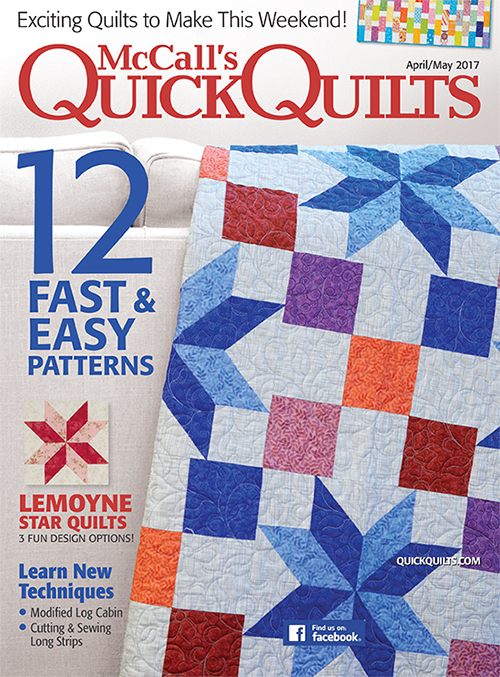 And I have another magazine quilt (using the same fabrics) upcoming for later this year in an Australian publication…. :) This one is fun! 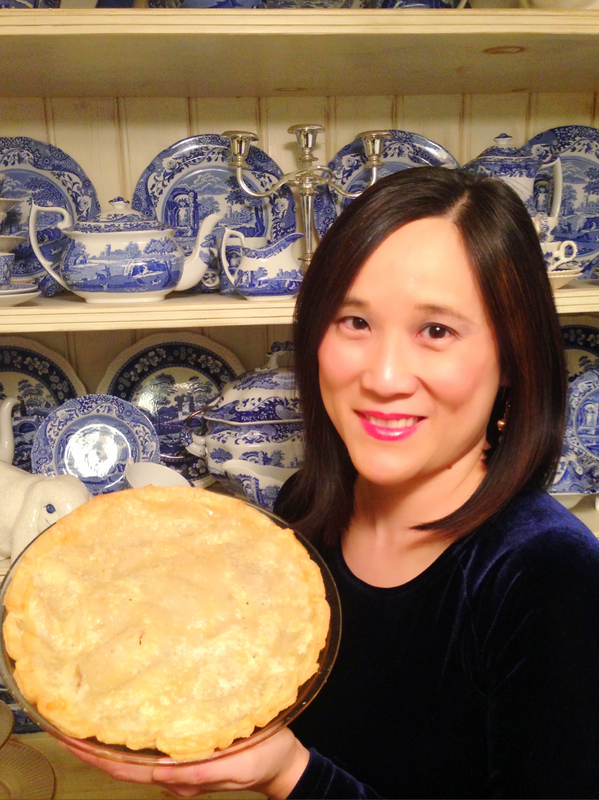 That’s all for now — I hope you have a lovely rest of your week! … totally a steal! 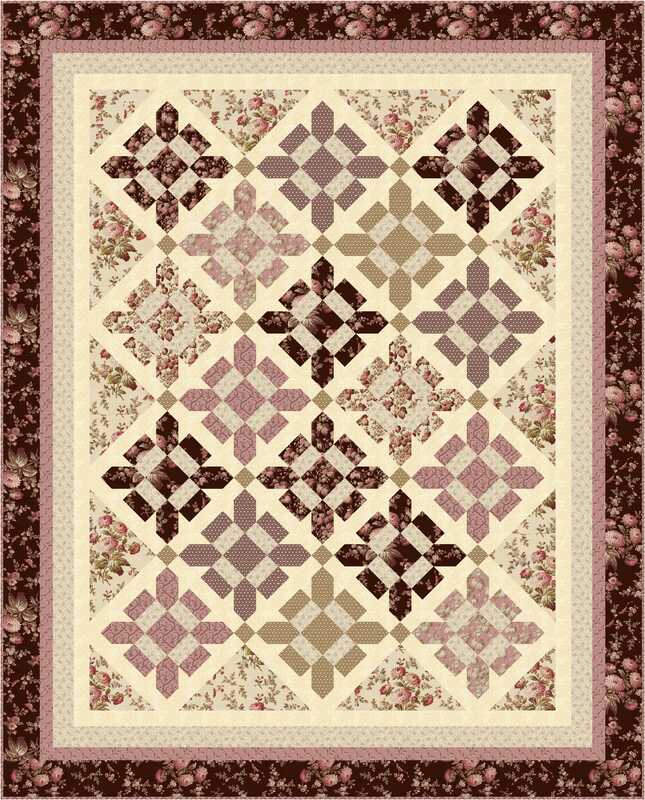 Friends, Keepsake Quilting sent me an email today promoting 12 quilt kits at 50% off! Did you receive the email? 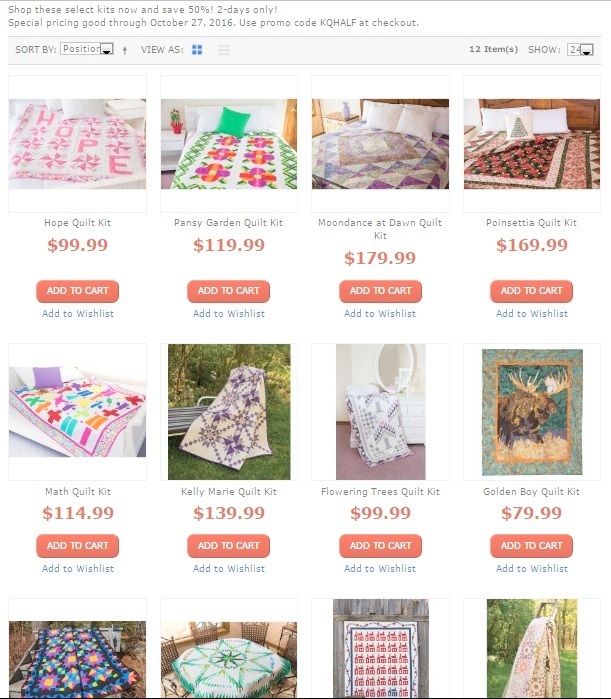 Well, out of the 12 quilts they featured for the special offer, 3 of the quilts are recent/new releases of mine. And the kits are half off!!! The email instructs entering promo code KQHALF at checkout. Special prices are good only through October 27, 2016. 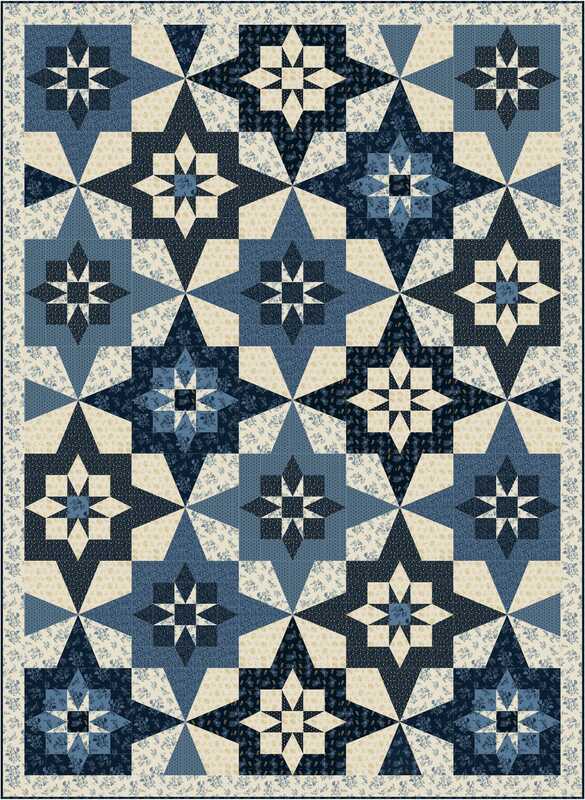 Click here to view the other quilts offered at 50% off. 1. 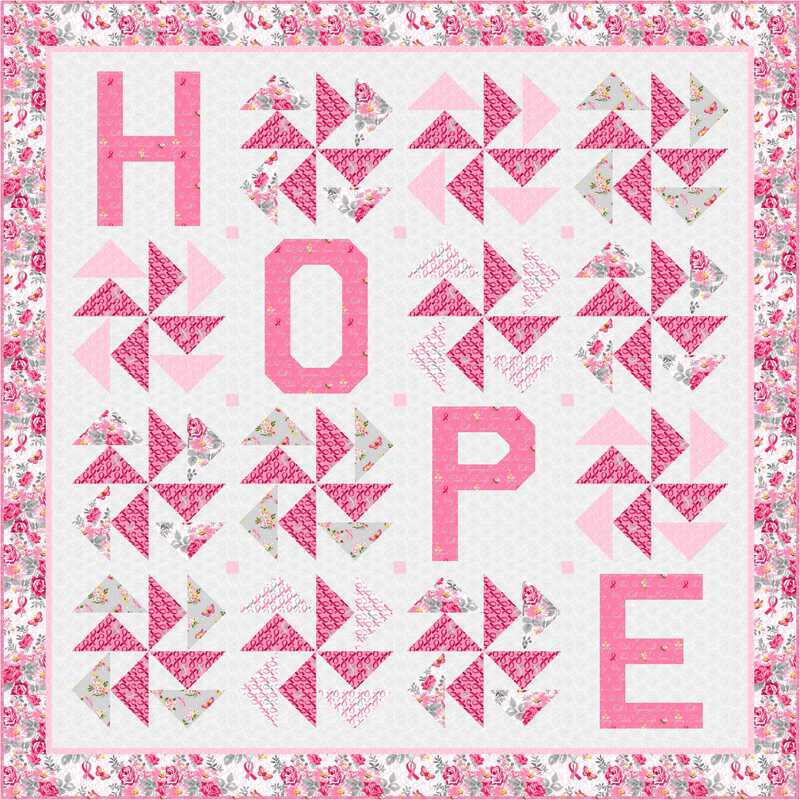 HOPE (61″ x 61″) – Click HERE to purchase kit. 2. Flowering Tree (62″ x 62″) – Click HERE to purchase kit. 3. Overland Trail (85″ x 85″) – Click HERE to purchase kit. 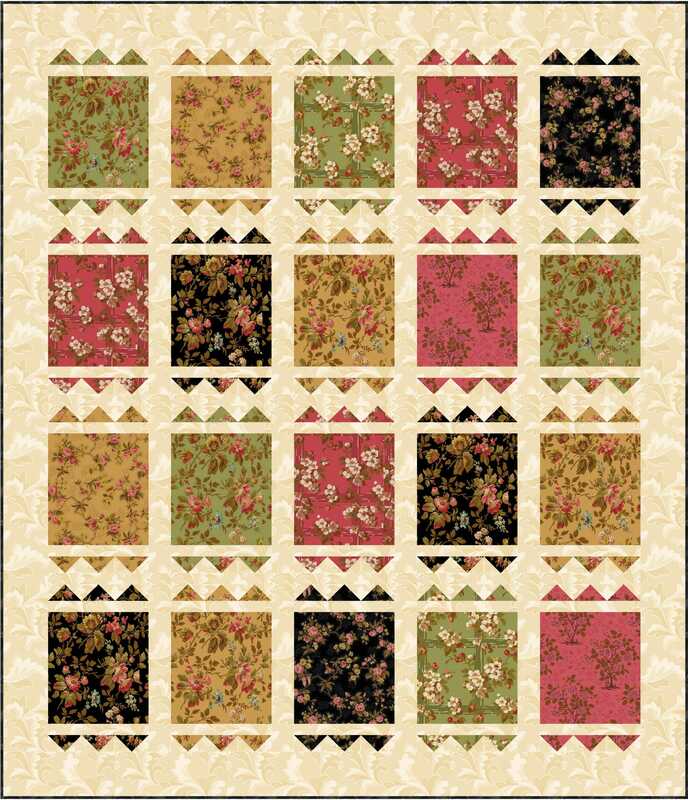 I absolutely LOVE this one — it has such an antique feel done in these fabrics. Have fun shopping, Friends! :) I shall catch up with you later!